Here is the version I sampled in Portland that this recipe is inspired from. 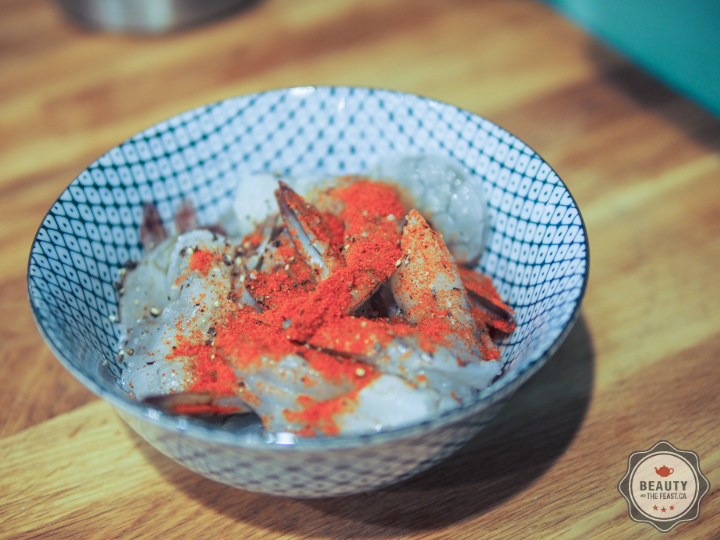 Mix shrimp with 1/2 teaspoon kosher salt, 1/8 teaspoon black pepper and cayenne. Mix well and refrigerate. Measure out all ingredients in advance and arrange in order as it moves quickly once it starts. In a wok, deep skillet or sauté pan over medium-high heat, combine oil and chili and saute 1 to 2 minutes. Add 1/4 teaspoon black pepper and cook for 1 minute longer. Add ginger and onion and sauté until onion is soft and translucent about 5 to 8 minutes. Add garlic, ground coriander and turmeric and sauté until fragrant, about 1 minute. Reduce heat to medium-low and add tomatoes and tomato sauce. Increase heat to medium-high and simmer for 5 minutes, stirring often. Add coconut milk, bring to a boil. Keep at low simmer until you are ready to serve the meal. 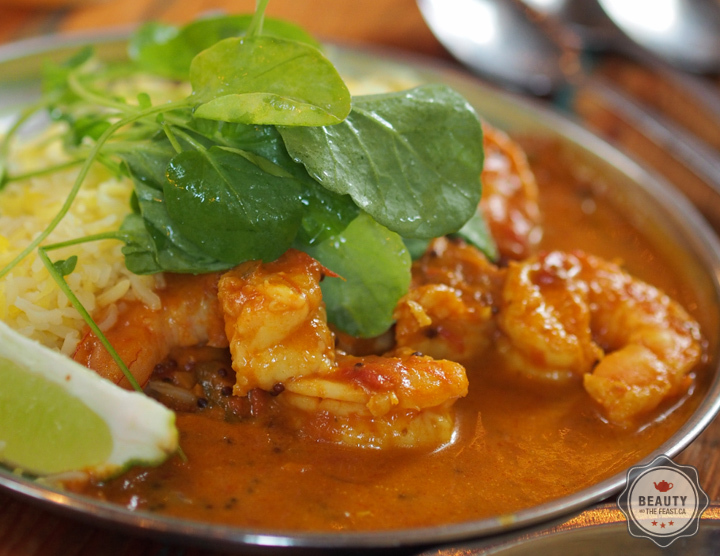 When you are 10 minutes out from serving the mea add the prawns to hot curry. 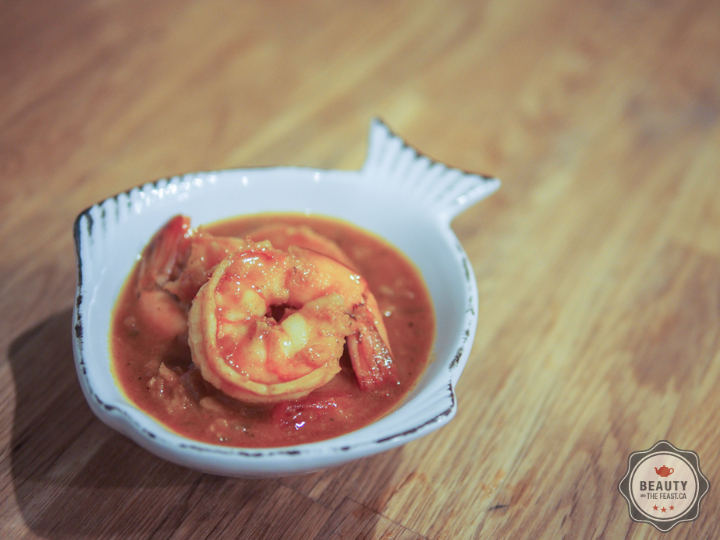 Bring to medium low and cook until prawns are opaque, 2 to 3 minutes.